From Maine to Japan: I am unpleasant. I feel I should say something terribly profound in response to this bag, but all I can do is guffaw! They go all in for cute, there, don't they? 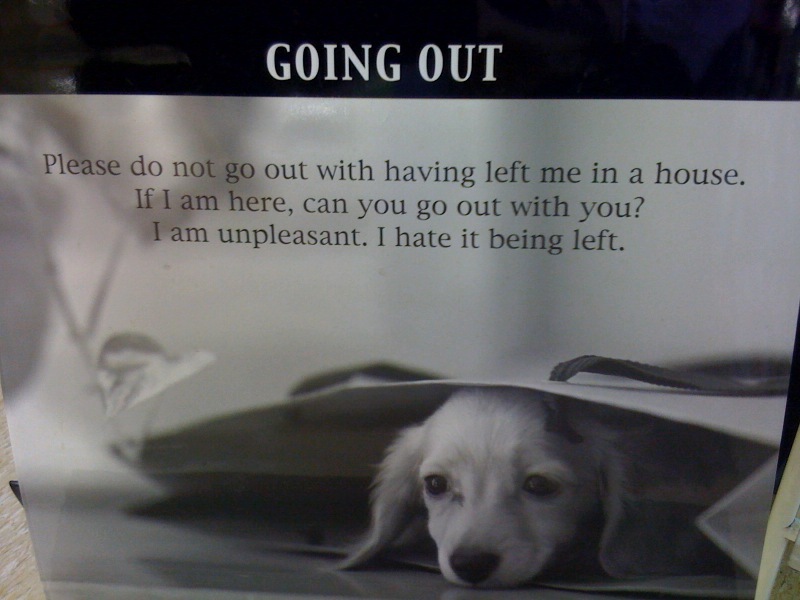 I mean, a puppy whimpering "I am unpleasant". Part of me wants to bend this into Kirk/Spock-age. Perhaps . . . Perhaps. THERE IS A POSSIBILITY THAT ALL YOUR JANGLISH PHOTOS ARE PRESENTLY BEING MACROFIED.